There are numerous live music festivals and venues throughout North Carolina, Virginia and beyond on tap to help you celebrate the official kickoff of summer over the upcoming Memorial Day holiday weekend. Following are a few highlights. If I’ve missed one, let me know! Saturday is the opening show of Summer Concert Series at the Blue Ridge Music Center featuring Amythyst Kiah and Her Chest of Glass+ Wild Ponies. The show starts at 7 p.m. and tickets are $10. A graduate of East Tennessee State University, Amythyst Kiah studied old-time music and music performance, which helped her transform into a well-rounded, captivating performer. Kiah’s commanding stage presence is matched by her raw and powerful vocals, a deeply moving, hypnotic sound that echoes a distant and restless past. Provocative and coolly fierce, she crosses the boundaries of blues and old-time music through her modern reinterpretations. 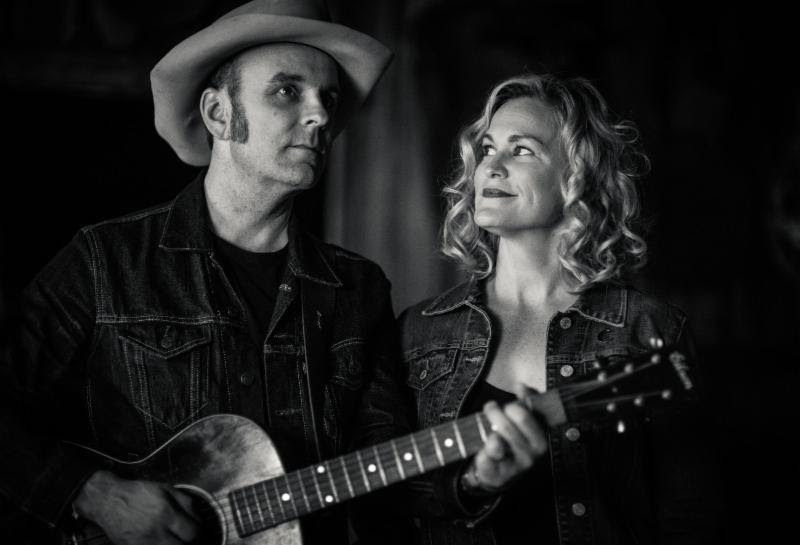 Although they’re based in Nashville, Wild Ponies bandmates Doug and Telisha Williams get their inspiration from the music of southwest Virginia, where they were born and raised. Wild Ponies pays tribute to that powerful music and rugged landscape with the band’s latest recording, “Galax.” Recorded in the shed behind Doug’s old family farm in Galax, this stripped-back album shows their Nashville influences as well as elements of old-time music, highlighting their musical and geographic roots. With a 151-acre music venue in the rolling foothills of the Blue Ridge Mountains, Rooster Walk Music and Arts Festival, held near Martinsville, Virginia, is celebrating its 10th year of becoming a favorite Memorial Day weekend destination for families and music lovers alike. This year’s headliners include The Wood Brothers, JJ Grey & Mofro, Robert Randolph & The Family Band, Marcus King, Billy Strings, King AND Strings(! ), and 40+ more great bands. Plus, great food, craft beer and wine, kids’ activities, fire dancers, guided river floats, and so much more. Kids 12 and younger are free. Camping charges are separate. The eighth annual Chantilly Farm Bluegrass & BBQ Festival at the beautiful Chantilly Farmin Floyd County, Virginia, has been called one of the region’s hottest bluegrass and mountain music festivals. It’s the home festival of MerleFest regular and award- winning Junior Sisk & Ramblers Choice. Other acts include Balsam Range, Seldom Scene, Larry Cordle & Lonesome Standard Time, Love Canon, Lonesome River Band, Volume Five, Darrell Webb Band, Breaking Grass, Kenny and Amanda Smith, The Po’ Ramblin’ Boys, Mickey Galyean & Cullen’s Bridge, A Deeper Shade of Blue, The Wildmans, Shadow Grass, Mike Mitchell Trio, Floyd Music School Students, Williamson Branch, Blue Rock’n Grass, Wound Tight, Mason Creek, Tony & Heather Mabe, The Compton’s & Friends, Indian Run Stringband, Steve Marshall & High Road, Back Porch Cloggers and more. Additional activities throughout the weekend include RV and tent camping, beer and wine garden, arts and crafts vendors, children’s activities, opportunities for jamming, hiking and biking trails, corn-hole tournament, midnight campfire jams, kite flying and more, according to the website. Attendees are encourage to bring an instrument for impromptu jam sessions. “Gears and Guitars,” is being held May 25-28 at Bailey Park in the Innovation Quarter in downtown Winston-Salem, North Carolina, in conjunction with the Winston-Salem Cycling Classic. The four-day family friendly festival features a variety of acts including four-time Grammy Award-winner Jason Isbell and the 400 Unit, Blues Traveler, Soul Asylum and indie rock group Cold War Kids, among others. The festival will also include a community day on Monday, May 28, featuring popular local bands including Big Daddy Love and the Muddy Creek Players. Those shows are all free and open to the public. Tickets can be purchased through Ticketmaster or in person at the Winston-Salem Fairgrounds and Annex ticket office. All concerts are general admission and will be held at Bailey Park. Children under 10 are admitted free. The festival runs for four days with late night shows, on-site camping, kid’s area/activities, artist playshops, a Bluegrass Band Competition, food and drink, arts and crafts and much more.